Choose your availability, prices, rules, and guest interaction. Travelers pay before their stay. Get paid after check in with Airbnbs secure payment system. Getting started with a listing is simple and totally free, plus hosts get the final say in what they charge when they host and what they host. Not to worry though, Airbnb will give you total guidance as well as a suggested price range. See how much you could be making. 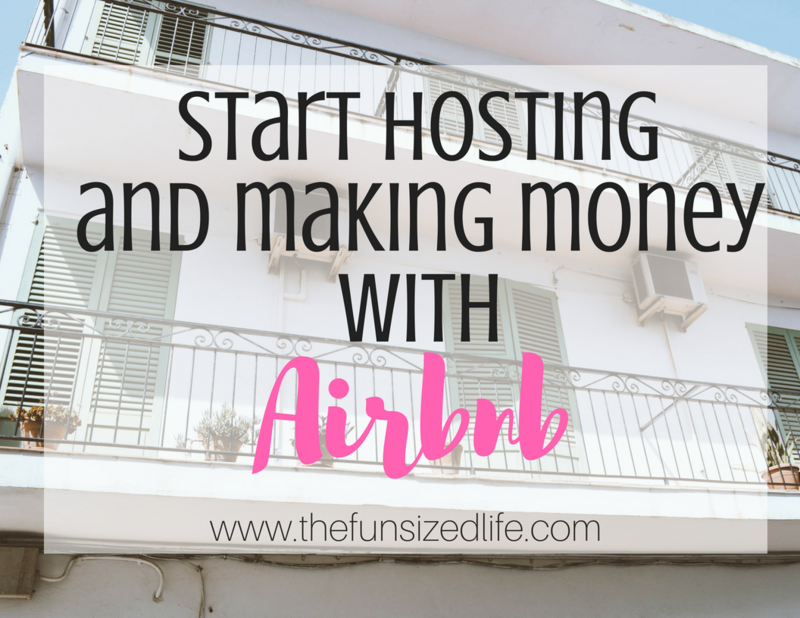 Getting started with being an Airbnb host is very simple. It’s free to get your listing started. Naturally, you are going to want to make the best profile possible, and there are several ways you can do that. Add photos of the space as well as yourself. This makes potential travelers feel more and at home and more at ease. Create a detailed description of your place and make sure to talk up some of the major highlights. Lastly, decide what price range you will want to be in. I have a few more tips on this as well. After reading several stories from different Airbnb hosts, there were a lot of different helpful tips on what to do when you’re first starting out. Imagine you are selling to yourself. Would you prefer a listing that said, “Small home, 1 bedroom,” or a listing that read, “Cozy home, 1 Bedroom, Perfect for a Weekend Getaway.” –I kind of wish this was a real thing because I sure could use a cozy getaway myself. –Make sure to think about your audience, what are they looking for in an Airbnb stay? Start with a low price range. Be aware of the other prices in your area on Airbnb as well as local hotels. When you are first starting, you will have no reviews or experience, so the best way to find travelers is by keeping your price range very attractive. This is a good way to start getting experience and start getting good reviews. Make a keyword strong listing. Kind of like selling to yourself, creating a keyword strong listing has the potential to draw more people in. Something like, “Modern loft, in the city close to local restaurants and parks.” –People want to know where they’re staying. This is a great way to get them excited about your particular listing. It might be a good idea to pitch your listing to friends and family. See what input they have, especially if they know your space. What features do they love? What areas would they choose to highlight? You don’t have to go overboard, but you do want to take your time and make sure you’re appealing to your audience. Get started right now. Just getting a listing started will ensure that you start making money, but you want to make sure it’s profitable enough to be worth your time and energy! Experience Airbnb hosts had some great ideas on how to do this while still keeping a reasonable price range. Keep rates competitive. You may start low, but be sure to adjust your price with your experience in hosting. Require a multi-night stay. Make sure you are going to make a good sum of money by requiring people to stay at least 2-3 nights. This makes sure all of your time and energy is well spent. Keep an open calendar. Keeping your calendar open allows for more chances to find people to fill those spots. Unless you really know you are unable to host, do your best to keep your dates available. Take advantage of events. My fellow Minnesotans took advantage of our 2018 Super Bowl by raising their prices on their AirBNBs. This is a smart idea. If you know there is going to be a major event occurring in your area and people will be needing places to stay, don’t be afraid to treat yourself as “in demand” and bump your price. Create extra person and cleaning fees. Rather than listing a large amount, add on additional cleaning fees or “extra person fees.” This will encourage more people to initially click on your listing because of the lower price. However, I personally would mention these fees in your description. When I have booked an Airbnb and all of a sudden saw the price shoot up, it felt like I was lied to and I often wound up canceling my booking. After really doing my research, it makes sense to me why a lot of these practices are used across the Airbnb platform. Welcome note – Leaving a welcome note for your guests is a great idea especially if you haven’t met them in person. Snacks – You could try leaving some chocolates alongside or welcome note or even designating snacks in the fridge for them. Extra bedding – Aside from your basic bedding, it’s a good idea to go above and beyond with extra pillows and blankets. You never know what people’s comfort level might be, but in case they want additional bedding, it’s good to give them that option. Keep it clean – People paying to stay in your home don’t want to see filth or grime. Be courteous to your guests and encourage good reviews by allowing them to enter a well maintained, clean home. Wifi information – Just like a hotel, be sure to leave them a note to the wifi password. Some people don’t want to have to ask you. Fill them in – This area may be totally new to them, so fill them in on your favorite local places. What’s the best restaurant, any fun museums or tourist attractions? Give them the scoop on what’s going on around town. Just like anything else in life, it can’t all be rainbows and sunshine, right? So what are some of the downfalls and potential drawbacks of being an Airbnb host? Potential theft – Opening your home up to people you don’t know can leave you vulnerable to crimes like this. Although most Airbnb travelers are hoping to gain positive reviews themselves, there are always those bad eggs out there. Working for reviews – Not only might you have to do a little extra smiling to get positive reviews, but you may have to press for them after. Because your hosting business depends strongly on positive feedback, you may need to press a bit from previous guests in order to get it. Although, from what I hear, Airbnb does most of this heavy lifting for you. Stranger danger – It weirds people out sometimes about having total strangers entering their home. It makes sense whether you are remaining in the home or not. If you are hosting a room, this may mean interacting with someone you don’t know or just leaving them in charge of your whole house! From the sounds of it, however, most travelers are traveling in order to be outside of their rooms. So, you may not wind up doing much interacting after all. There are measures you can take, beyond AirBNBs $1,000,000 insurance coverage, to make sure you and your possessions are safe. Only accept guests who have previously been reviewed. – Like I said, the rules are really up to you. If you want to make sure the people coming into your home are quality, trustworthy people, use their reviews as proof. Hide belongings – If you have more valuable items that you don’t want to be taken or destroyed, be sure to tuck them away in a special place. Opening your home to strangers is definitely something you need to think about beforehand. Make sure you weigh all your options. While this extra stream of income could allow for more travel or assist you in paying off your debts, it very well not be worth the trouble. It’s an appealing idea if you have the space available for hosting, but you definitely need to be smart before making the leap. Get started as an Airbnb host. Use my $40 Airbnb credit to book a room or house!